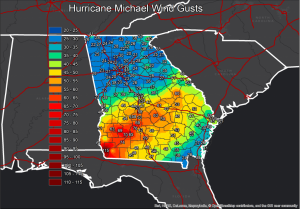 The National Weather Service office in Peachtree City, GA has posted a summary of Hurricane Michael’s impacts on Georgia, including maps of wind speed, rainfall totals, photos, and maps of tornado paths associated with the storm. You can view it here. Posted in Climate summaries, Severe, Tropical weather. 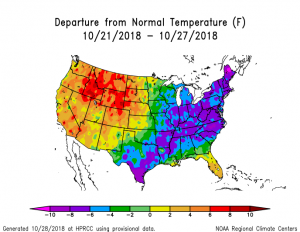 NOAA’s latest global climate summary came out earlier this week. It shows that for the earth as a whole, the temperature was the 4th warmest since records began in 1880. 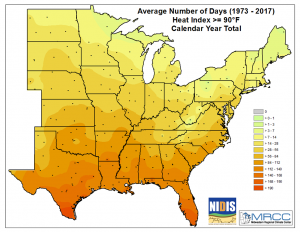 The year-to-date temperature is also the 4th warmest. 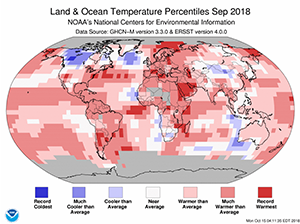 You can read more at https://www.noaa.gov/news/september-2018-and-year-to-date-were-4th-hottest-on-record-for-globe. 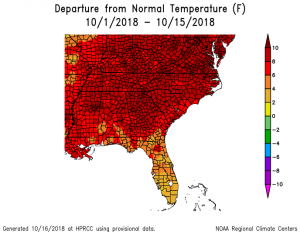 The latest national monthly climate summary for September 2018 was released today. 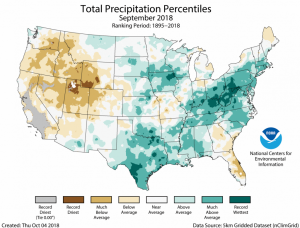 It shows that for the contiguous 48 states, this was the 4th warmest and the 3rd wettest September since records began in 1895. 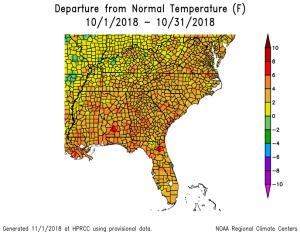 The biggest event was Hurricane Florence, which no doubt contributed to the very wet conditions….